Modernity with a Cold War Face: Reimagining the Nation in Chinese Literature across the 1949 Divide. Cambridge: Harvard University Asia Center, 2013. 376 pp. The subject of Modernity with a Cold War Face is nothing less than modern (here, post-May Fourth) Chinese literature, as an institution and a practice, on both sides of the 1949 watershed and on all three sides of the mainland China, Taiwan, and Hong Kong geopolitical divides. Besides a theoretical Introduction, Epilogue, and first chapter delineating how modern Chinese literature was differently redefined after 1949 by critics and educational institutions under the political regimes of the PRC, ROC, and colonial Hong Kong, Xiaojue Wang’s monograph has five additional chapters, each of which discusses the fate and transformations in professional practice of a major Chinese fiction writer or poet who lived through the 1949 mainland regime change or, in one case, Taiwan’s terrible post-1945 days. The scope of Wang’s scholarship is impressive, her readings of texts bring to light nuances of some overlooked works, and the Harvard Asia Center’s monographic presentation, with a Chinese character list and footnotes instead of endnotes, is very pleasing. Wang’s views of the literary history and the life stories she analyzes, using a revived Cold War frame of reference, are frequently at odds with received opinion. Her perspective is likely to spark vigorous debate. The featured writers, in order of the book’s chapters, are Shen Congwen, Ding Ling, Wu Zhuoliu, Feng Zhi, and Eileen Chang (Zhang Ailing). All five dramatically altered their professional production in midcentury, and there were comparable discontinuities in Ding Ling’s career before that. The five were not “mainstream” leftist writers and littérateurs of the pre-1949 mainland (arguably not even Ding Ling, if only because she was a woman), like Ba Jin, Lao She, Mao Dun, Tian Han, and Zhang Tianyi, not to mention Guo Moruo, Xia Yan, and Zhou Yang. And except for Feng Zhi, the mainland writers Wang analyzes did not assimilate to 1949-1965 socialist China as smoothly as the more mainstream lions. (Ding Ling assimilated long before 1949, though not smoothly, and she was ousted from the body politic in 1957.) What the five writers Wang picked seem to have in common is an element of extremity or ingenuity in their personal response to the mid-twentieth-century political and social turmoil. And all of them, even the Taiwan Hakka writer Wu Zhuoliu, spent time in mainland China in the 1940s. I would also note that all five writers’ past achievements suffered relative if not total oblivion in all three Chinese regions for some years after 1949, or at least 1957. The writers’ old literary reputations were exhumed after Mao died and China opened up, and a few years later in Taiwan, when it democratized and began reexamining its past. (Feng Zhi was able to continue on in a new career after 1949, until the Cultural Revolution, and he also preceded the other selected PRC mainlanders in post-Cultural Revolution rehabilitation, with a 1978 PRC publication of one of his translations of Heine. Eileen Chang with difficulty kept on writing after 1949, first for one side and then the other. Revived interest in her works—deferred until the mid-1980s in the PRC—came earlier but was still belated even in Taiwan. C. T. Hsia’s praise of her in his 1961 history of modern Chinese fiction helped to retroactively position Chang in the front ranks of Chinese writers.) The writers’ midcentury exclusion from their old literary fields thus adds interest to this book’s writer-centered themes, in addition to the writers’ outsized literary talents—according to a relatively recent and possibly fragile but enduring elite critical consensus about the excellence of their pre-1949 fiction and poems. Because Wu Zhuoliu lived in the Chinese mainland, Japan, and colonial Taiwan in the 1940s, and Eileen Chang through her migrations crossed even greater divides than that, Xiaojue Wang’s chapters on those two strike me as particularly multifaceted. Wang examines Japanese colonialism and its termination in Taiwan as watershed forces there; how China’s protracted mid-century war with Japan affected writers in the mainland, not so much. Wang’s approach to understanding her writers’ crossing of the 1949 divide (or 1945-1949 Taiwan divide) emphasizes analysis of their individual literary and mental histories. She looks for precursors of the writers’ post-1949 commitments, choices, and psychological states in their earlier life and works, even applying psychiatric analysis to Shen Congwen and Feng Zhi. Xiaojue Wang also has theoretical aspirations. She hopes, by crossing the 1949 and communist/anticommunist divides and generally abolishing “binaries,” to pave the way for what she calls in the epilogue a “de-Cold War criticism” of modern Chinese literature. She opposes a “simplistic dualism pitting individual moral integrity against a historical process that was presented as demonic and out of control” (12). Wang’s position thus has the potential to discover a major new interpretive divergence between critics with her viewpoint, on the one hand, and many of China’s most highly regarded writers, on the other, if one is persuaded by her Harvard mentor David Der-wei Wang, as I am, that the latter have tended to view history, including twentieth century Chinese history, as a “monster.” Either way, Xiaojue Wang portrays the five writers she discusses as having crossed the 1949 divide in triumph. As the book title indicates, a paradigm of Cold War polarization takes precedence in Modernity with a Cold War Face over older paradigms like revolution and counterrevolution and left-wing vs. right-wing nationalisms. Chapter 1 describes how post-1949 textbooks, political speeches, and schools in the PRC, ROC, and Hong Kong respectively institutionalized the study of “modern Chinese literature” in new ways, mostly in a communist-anticommunist antithesis. The PRC continued using the original term referring to the post-May Fourth literature that was written in a nationally homogenized and reconstructed contemporary vernacular: “the new Chinese literature.” After 1949, this suited, Wang writes, Mao’s idea of “new democracy.” She cites Hong Zicheng’s observation that the creation of a newer, more “contemporary” (dangdai, post-1949), fully socialist Chinese literature necessitated the renaming of the pre-1949 heritage as xiandai, meaning “modern,” but not contemporary. (I find it interesting that Chinese critics do not speak of an “earlier modern” or jindai literature, though many appear to be reevaluating late Qing fiction as a jindai literature.) Wang gives comparable space to the founding of modern Chinese literary studies in Hong Kong, where Sima Changfeng sought an authentically Chinese lyric voice. Communist activities in 1948 Hong Kong, such as denouncing liberal writers like Shen Congwen, are left for the next chapter instead of analyzed as part of Hong Kong’s history. In postwar Taiwan, anticommunist proclamations held sway. Most pre-1949 classics of modern Chinese literature were banned, unavailable to the new mainlander exiles in Taiwan who might have wanted to read them. Chapter 2 deals with Shen Congwen’s 1949 attempted suicide and his subsequent abandonment of creative writing for museum work and research into art and material history. Previous critics have noted Shen’s pre-1949 interest in antiques. Wang takes this further, finding in Shen’s pre-1949 writings and post-1949 art history publications a common “aesthetic of fragmentation.” She sees in this aesthetic, which cherished colorful swatches of material culture from daily life, a new conception of history; Shen Congwen in her analysis figures as a sort of Chinese Braudel. More controversial, Wang argues that “Shen Congwen overcame his psychological [suicidal] crisis through a conversion from literature to art history” (106). Even more controversial, she diagnoses the mental state that led to that crisis as schizophrenia—I think. She explains, “Whereas it remains arguable whether the term ‘schizophrenia’ accurately diagnoses Shen’s mental disorders, the discourse of schizophrenia conceived both as a pathological term and a cultural and political metaphor helps us to consider Shen’s psychological and cultural crisis in a time of political indeterminacies” (81). Chapter 3, about Ding Ling, acknowledges her transitions from feminist radical writer to dedicated leftist, from imprisoned writer to iconic Communist, and from dissenting feminist Communist to party-line author of The Sun Shines over the Sanggan River (1951), winner of a Stalin Prize. The main interest in this chapter is Ding Ling’s creative changes prior to and during the writing of the Sanggan epic; these changes were prompted not only by the necessity of rewriting the novel to conform to Communist land reform policy, but also by Ding Ling’s need to satisfy criticisms of her feminist independence. Wang’s analysis maintains the theme that all five of her authors experienced a midcentury watershed. In her detailed reading of Sanggan, she teases out certain feminist viewpoints in the novel that depart from gender-blind Communist formulas already in force by 1949; Wang concludes that Ding Ling managed in her epic novel the difficult feat of “suturing” feminism and gender-blind PRC-era socialism, a reading consistent with Wang’s general theme that the five authors emerged from their transformations in triumph. Ding Ling’s harsher punishment was yet to come, however; after 1957, she was exiled to Chinese Siberia and then imprisoned as a Rightist. After finally being pardoned in the post-Mao era, she reemerged as an old-style dogmatist, to the point of embracing the correctness of the Communist Party in “reforming” her. Ding Ling’s emergence from that last crisis is hard to interpret as a victory, apart from her dogged persistence and survival, since her last reincarnation denied gender based contradictions within the revolution (they cannot be found in her late work Du Wanxiang, Wang affirms) and allowed Ding Ling to revive Stalinist predilections for criticizing freethinkers like her former self. Xiaojue Wang persuasively notes the “ironies” of it all. Chapter 4, on Wu Zhuoliu, is illuminating in its evocation of the Taiwan public’s new sense of shame in 1945 at being associated with the “backward” mainlanders who “liberated” them from the Japanese colonialism that began in 1895. This comes in an analysis of Wu’s story “Director Potsdam,” which opens the door to an appreciation of Japanese colonialism as an “alterative modernity” (though I think one might push that modernity further back to the modernizing 1885-1895 Qing mainlander governor of Taiwan, Liu Mingchuan). Wang follows with a brief history of the short-lived 1895 Taiwan Republic, partly to berate Western (and Chinese) contemporary observers and historians for Orientalist bias in their scoffing at the traditionalism and conceptual ambiguity of the self-proclaimed republic, which declared fealty to the Qing Empire and maintained use of the kowtow. The chapter then presents an interpretation of Wu’s novel, The Orphan of Asia (first published in 1946, in Japanese), in which Wang reads “orphanhood not as symbolizing a deserted or victimized Taiwan or Taiwanese people between the motherland and metropolitan colonial Japan, but rather as an inability or uncertainty of a modern Taiwan subjectivity to establish a definite position between various historical and cultural identities” (183). Wang also notes “antimodernist reflections on modern urban life” within the novel’s “mostly realistic tone” (191). This furthers or perhaps complicates her discourse of alternative modernities across all the many divides. Chapter 5 combines Xiaojue Wang’s psychoanalytic and literary biographical methodology in analyzing poet Feng Zhi’s response to the mainland’s 1949 regime change, which had the potential to destroy his “bourgeois” modernist poetry and Feng himself. It was not a crisis for him after he repudiated his prior creativity and became a party-liner. Wang interprets the poet’s absorption in his own sense of solitude as he evoked it in his famous pre-1949 sonnets (she offers stimulating readings of several of them) as a reaction both to a pre-adolescent crisis (loss of his mother) and to his readings of Rilke’s poetry invoking feelings of solitude. With the help of later readings and misreadings of Goethe’s seeming concepts of poetic affinity and metamorphosis, and ideological guidance from the pending Chinese revolution, Feng recast his concept of solitude, making it a base from which to reach out to the larger collective. This collectivist turn resolved his intellectual and psychological dilemma—at the expense of denial of his prior poetic achievements. Wang sees Feng’s transformation as prefigured by his historical novel Wu Zixu (1943) and does not interpret his sudden ideological conversion and postrevolutionary Communist Party membership as opportunistic, though she calls his transformation “rather clever” because it helped protect the poet (243n99). Feng is easily seen as having gained success after 1949 (until the Cultural Revolution), except that he published only one poetry collection during that period. Chapter 6 reappraises the post-1949 writing of Eileen Chang, including her anti-communist novels in Chinese and English composed after she left the PRC in 1953. This chapter also tells a fascinating tale of Chang’s views on Dream of the Red Chamber, along with her uncompleted mission to rewrite the plot of the great novel as a screenplay, in competition with other, contemporary recastings of the work as opera and film in the PRC and Hong Kong. Xiaojue Wang’s reassessments of novels by Eileen Chang and Jiang Gui (Chiang Kuei; readers may want to know that two of his novels have been translated by Timothy Ross into English) that are often criticized as propagandistic may pave the way for upward evaluations of them. Future critics may even want to compare these novels’ criticisms of Maoism, including not just the Cultural Revolution but also the Land Reform years, with the 1990s criticisms by Mo Yan, Zhang Wei, and other historical novelists who wrote more retrospectively, and within the PRC. I foresee criticism of Wang’s monograph on grounds of its conceptual framework, methodology, and some of its readings of particular lives and texts. In my view, Modernity with a Cold War Face evidences an uneasy bifurcation, if I may use that term without irony, between the author’s desire to abolish “binaries” (and presumably ternaries, since the Cold War in time—if not already in 1949—had three camps) and the fact that the occasion and passion of her research derives from her interest in schizophrenia and binary or multiple ambivalences and ambiguities (being of “two minds”—figurative schizophrenia?—and sometimes more than two minds) in the writers she analyzes. Her research draws energy from discovering such tendencies and their mutual contradictions, and above all from the larger pre- vs. post-1949 temporal binary and the geopolitical Cold War binary or ternary that lend her book its themes. Wang wants to elaborate alternative modernities or ideas of modernity across the political divides. Rather than multiple modernities, her emphasis is on two, since Hong Kong was not its own camp, the USSR is mostly displaced by the PRC as the embodiment of the communist Cold War camp, and even the quaternary or quinary prospect of a Japan-style or not-so-Japan-style independent modernity for Taiwan is not fully explored. Wang wants to bury Cold War thinking, and yet also to vindicate some of its most extreme results among Chinese writers. She vindicates not only the five writers’ mostly reactive midcentury actions, but also Ding Ling’s retro Stalinist interventions in the 1980s, though some of those diverse actions and reactions may have knowingly or unwittingly reinforced Cold War discourse. The 1960s and 1970s, when Cold War (or pre-Cold War) ideologies pushed the PRC toward new extremes at home and the USA and USSR into hot civil wars in Vietnam and Afghanistan, is beyond the scope of this book. Further, “modernity,” even after being MIRVed into alternative or multiple forms, is a monistic or unitary idea, generally a historicist concept indebted to ideas of history as progress. Otherwise, one would speak not of alternative modernities but simply of alternative pasts, presents, and futures. In nationalistic Chinese discourse, modernity envisions technological progress and prosperity, not social regression or future mass poverty, as in some speculative, mostly non-Chinese dystopian visions of the future. What, then, was the Cold War? Wang’s and my differences in how we think about it offer, I think, an object lesson on how observers’ differences in generation, national origin, and perhaps field of study, plus decades of postwar historical change, can outweigh even the important legacy of historical divides that began in the 1940s. In early West-bloc Cold War thinking, association of Chinese Communism with the Cold War often bore with it the misimpression that USSR-engendered forces caused China’s entry into the socialist bloc, not the agency of the Chinese people through a revolution of their own making. At the other end of the timeline, the PRC propaganda machine now attributes a retro Cold War mentality to the US and its Asian allies to delegitimate their new anxieties about a rising China and assert that the PRC has irredenta, including Taiwan. The Cold War is conventionally defined as a geopolitical opposition between the USSR and the US and its allies, ca. 1947-1989, with the USSR joined in 1949 by the PRC, which, however, left that camp and later entered what Warren Cohen has called a “strategic alliance” with the US against the USSR, an alliance that did not outlive the USSR. Xiaojue Wang emphasizes the longer global confrontation between ideologies and forces of communism and anticommunism, capitalism and socialism, epitomized by a “lack of communication” “between a Communist notion of human collectivity and a liberal democratic one of humanism” (299). Geopolitical Cold War antagonisms affected the Chinese Civil War before 1949, and the ideological war, including Imperial Japan’s and Chiang Kai-shek’s anti-Bolshevik crusades, go back earlier than that. But Wang’s Cold War is defined by 1949. The polarizing effect of the Cold War, however defined (superpowers trying to call all the shots is surely an indispensible element), may still be useful in analyzing East Asian polarizations after 1949, including the lasting divide across the Taiwan Strait (or was it a hot war in Korea that was decisive? ), but the Cold War discourse will need further justification if it is to displace paradigms of national and global revolution/counterrevolution, response to the West/Western imperialism, modernity/modernization/liberation/Enlightenment, growing nationalisms/expansionisms/separatisms, local and global authoritarianisms/democratizations, and capitalist and noncapitalist globalizations. Cold War discourse, in my view, largely repeats themes from the “response” (to the superpowers), alternative modernities, alternative modernizations, and globalization discourses. The writers Wang has chosen to analyze are not necessarily representative of the Cold War decades or the three greater-China regions, and the works analyzed are not always representative of the five authors, but it is difficult to say which writers and works would be, and I am glad that Wang analyzes difficult and enigmatic cases. Her biographical analyses are bound to raise many hackles, however, since she is keen to minimize the writers’ and other Chinese citizens’ victimhood. She calls consideration of this “ethical sentimentalism” (7-17). And with that goes minimization of the writers’ and other citizens’ victimization of others. Again, the Cultural Revolution years are beyond the scope of this monograph. Diagnoses of mental “disorders” from afar are in principle problematic. Wang acknowledges that there is no professional diagnosis of schizophrenia or insanity in Shen Congwen in 1949 or during his early adulthood, when schizophrenia often surfaces. I doubt that Shen, family members (some of whom reportedly struggled against him in 1949), or even mental health professionals who observed his suffering in those days had the same understanding of schizophrenia that we have today, differentiated from disorders and tendencies of depression, anxiety, and paranoia, as well as common feelings of guilt and self-doubt fed by a rational fear of persecution, even execution. Shen Congwen quickly recovered and by 1952 was convinced that he might be able to write again, for the Communists. [ 1 ] I interviewed Shen, his friends, and family, but never thought to ask if Shen took medications, or if he or family members felt guilt about their participation in or reluctance to engage with the revolution. Mass- and small group-induced emotional crises in the PRC during 1949 and many years after that made numerous innocent people wonder if they must be guilty after all. I would invoke the principle of Occam’s razor in support of simpler explanations pointing to revolution and psychological duress as major causes of most mainland writers’ crises and ideological rebirths and reformations, including those of Ding Ling before and during the Cold War. 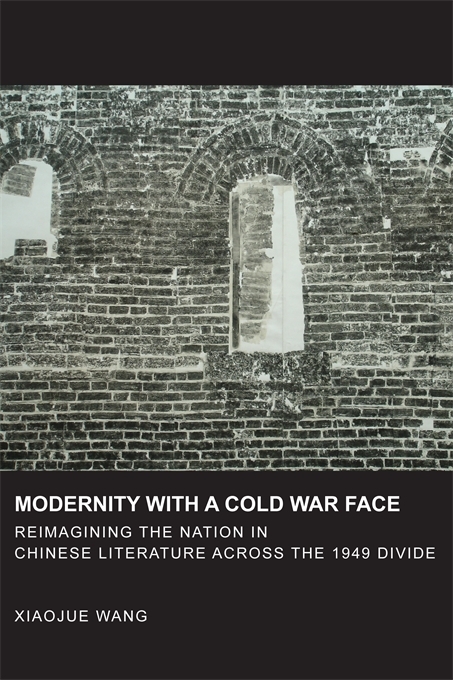 This monograph reopens an important discussion about Cold War cross-banning of modern Chinese literature. Literary works were not the only writings banned and some censorship went beyond Cold War mandates, such as the ROC regime’s suppression of Japanese, nativist, and aboriginal culture. The effects of banning by the PRC and ROC were not symmetrical. Greater access to foreign and traditional Chinese literature in Taiwan and Hong Kong than in the mainland gave Chinese in the capitalist camp a relative literary and intellectual advantage like that they enjoyed in science and commerce. Meanwhile, Rickshaw Boy, Family, and Border Town were available in post-1949 Hong Kong and the Diaspora, but they were considered passé or “irrelevant” and little read outside of intellectual circles. They were about “the old society.” Similarly, in Cold War-era Taiwan, Yu Dafu’s works were on sale but largely ignored, and so were the few, quiet reprintings of Border Town by Shen Congwen, who in Taiwan held the attraction of being in principle forbidden. One cannot imagine most Taiwan readers (any more than most Hong Kong readers) cottoning to Red Crag, Defending Yan’an, or indeed The Sun Shines over the Sanggan River, except as curiosities, even if those novels had been allowed in Taiwan. One must likewise doubt that mainland readers would have appreciated Wu Zhuoliu; it is gratifying to see his fiction analyzed in this monograph’s pages, even if its links to the Cold War are somewhat tenuous. Xiaojue Wang’s summation in her Epilogue, if I understand it correctly, calls for a new, critical kind of humanism unencumbered by the philosophy of Enlightenment and liberal humanism that Feng Zhi and Ding Ling at one time or another condemned and felt they transcended. Wang’s preferred humanism is also to be unencumbered by “rigid Marxism,” European Marxist humanism, and China’s own neo-leftism, even as it is understanding and even embracing of Ding Ling’s mid- and late-life opposition to individual autonomy within a collective need. A “de-Cold War criticism” would begin with “an ‘antinomian or oppositional analysis’ between the text and the social reality in which it is situated” (302), although such an oppositional analysis sounds to me like a kind of dissidence not unlike some Chinese writers’ “pitting [of] individual moral integrity against a historical process,” which she deplores in her Introduction. Wang explains that she has sought works with “potentials of intellectual resistance and agency” that have, “even under the deepest Cold War restrictions,” “traverse[d] the boundaries imposed by ideology or any form of dominative knowledge” (302). That is a laudable quest, and so is her search for “the strongest” works by Chinese writers who “created ways of connection, communication, and to uncover and undermine the grid of Cold War dichotomous antagonism” (297). Whether those works are the ones she explicates in Modernity with a Cold War Face is another subject worthy of debate. [ 1 ] Jenny Huangfu, “Roads to Salvation: Shen Congwen, Xiao Qian and the Problem of Non-Communist Celebrity Writers, 1948-1957.” Modern Chinese Literature and Culture 22, no. 2 (Fall 2010): 39-87, especially 58-60.